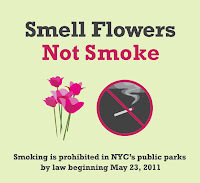 Earlier this year, Mayor Bloomberg signed a law to prohibit smoking in all of NYC's public parks, including Bryant Park. The new law, which will help limit exposure to second hand smoke, improve air quality, and reduce litter, goes into effect on Monday, May 23, 2011. To observe the new law, please extinguish cigarettes and cigars in receptacles outside the park before entering. 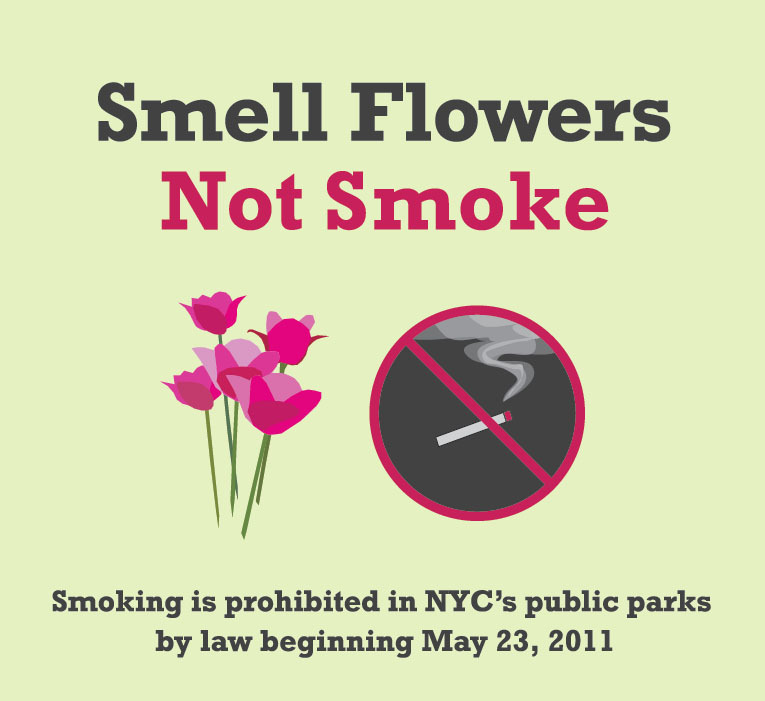 For more information about smoke free parks and beaches, visit nycgovparks.org. You can also read a letter from NYC Parks Commissioner Adrian Benepe on the new law here. If you'd like to quit smoking, call 311, 866-NYQUITS, or visit nysmokefree.com for help.